Erik Evens' Robin Lee, Yankee #118 was the boat used for the 1969 Yankee brocure shown at left. When Erik bought this boat the original sail was in her inventory. 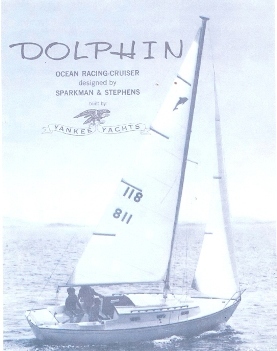 Erik ordered new sails and had the Dolphin logo on the main sail reproduced as it was originally. 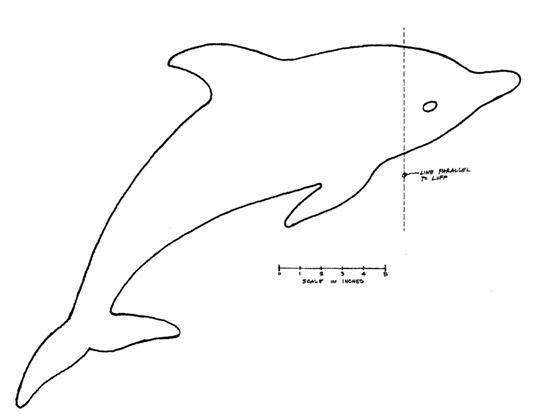 There is a scale on the tracing so that anyone who wishes can reproduce the image. Downloadable PDF copies of these tracings are linked below.